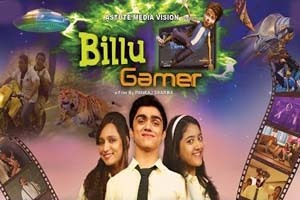 Billu Gamer is a 2016 Hindi language film produced and directed by Pankaj Sharma. The film stars Shreya Sharma , Rohan Shah, Girija Joshi, Ajay Nagrath, Upasna Singh, Vindu Dara Singh, Tiku Talsania. The soundtrack of film is composed by Bapi Tutul, with lyrics penned by Pankaj Sharma. Here is the link of all the songs lyrics and videos of Billu Gamer.